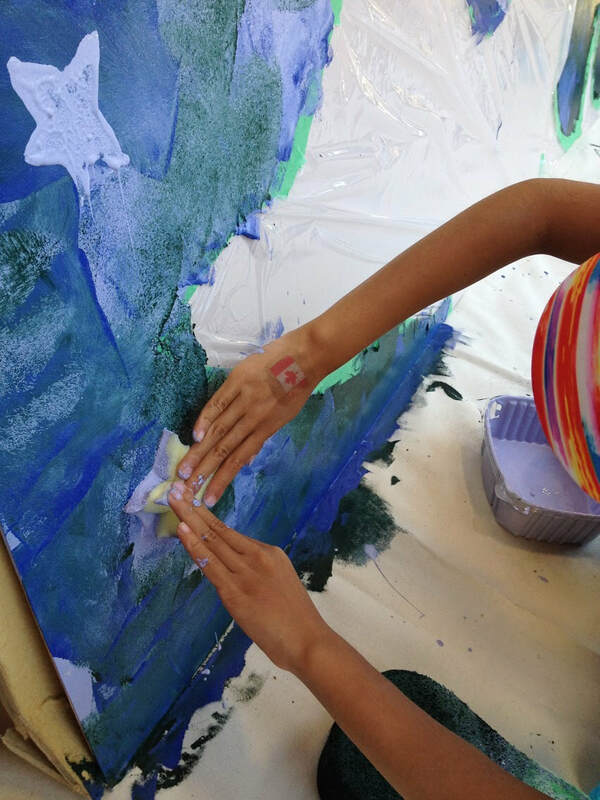 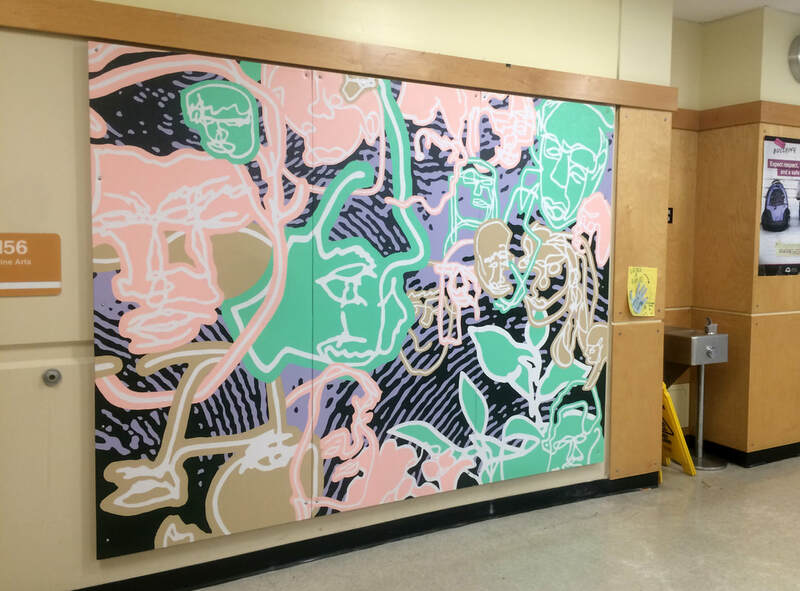 These murals were designed and painted in collaboration with youth using recycled paint donated by ReGeneration BC. 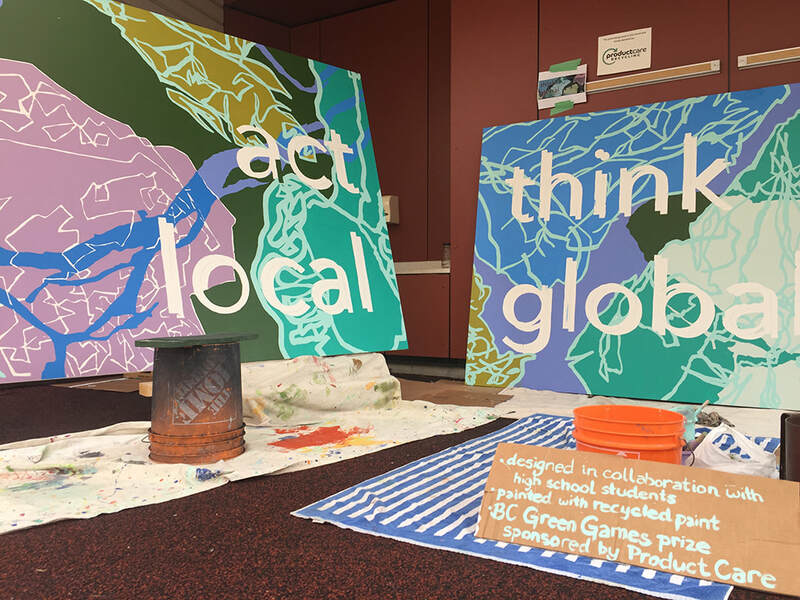 Science World commissioned these murals as prizes for BC Green Games 2017 and 2018 winning schools. 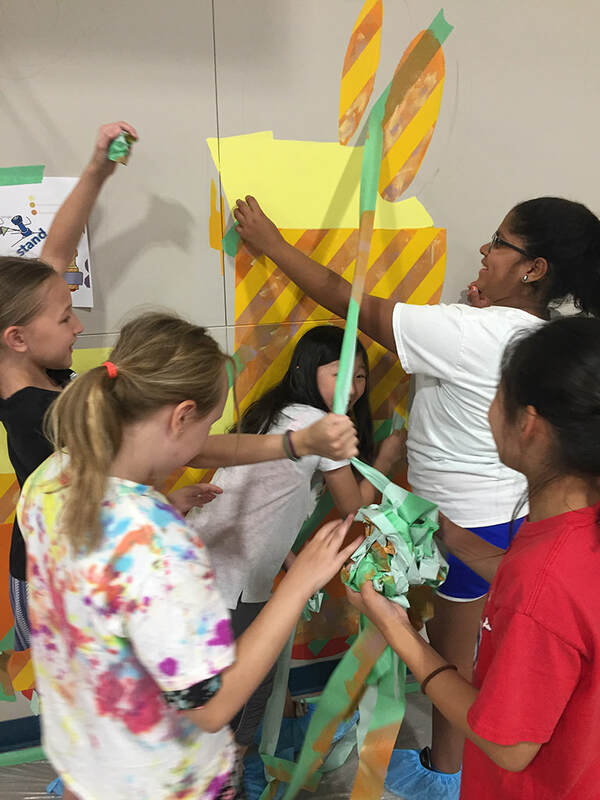 See ReGeneration's article about the inaugural 2017 project here. 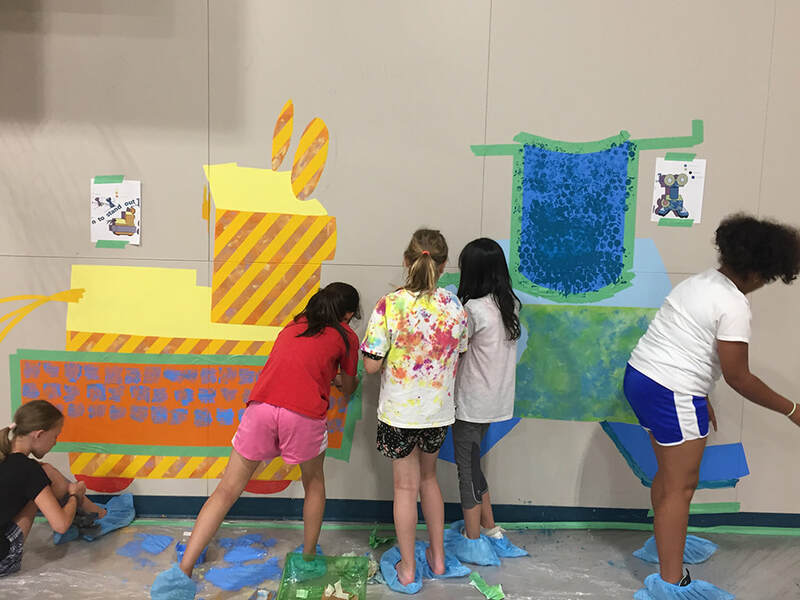 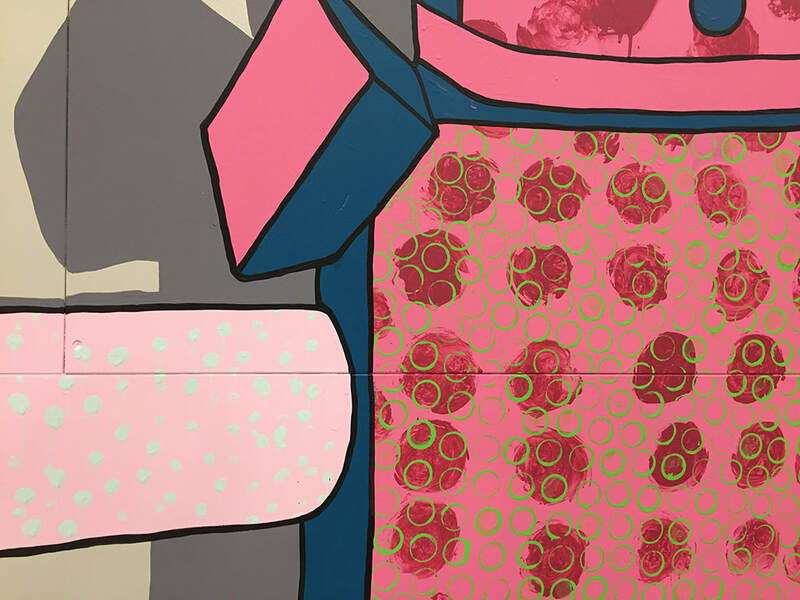 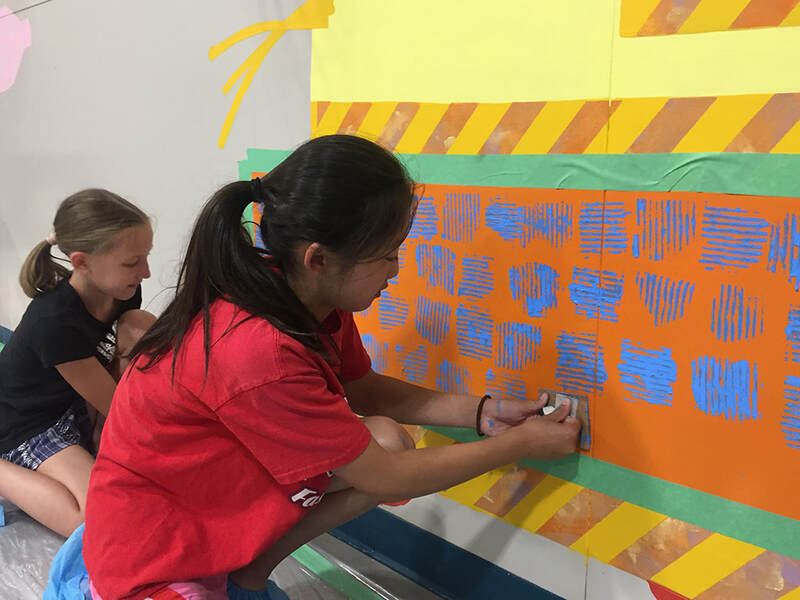 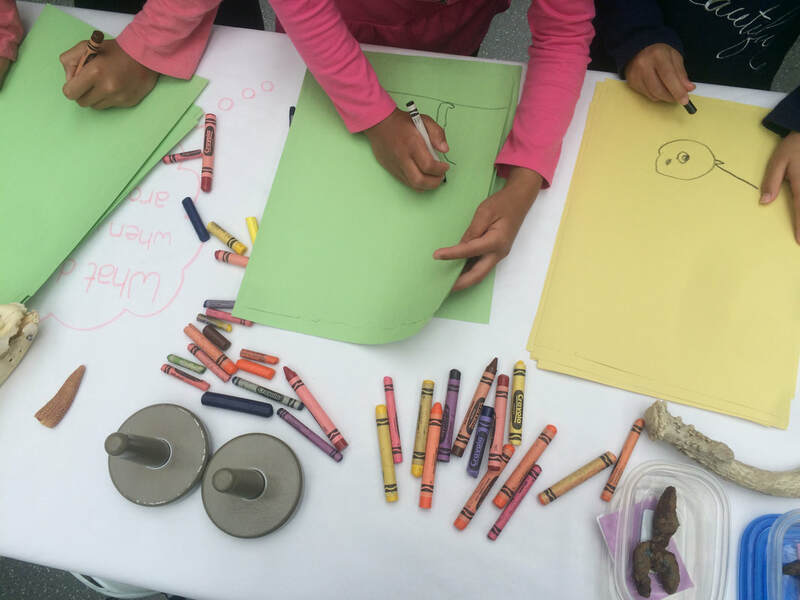 Inspired by their winning project which creatively repurposed waste into imaginative robot sculptures, this mural depicts a small selection of the students' robots and made use of similar repurposed waste to create patterning throughout the mural. 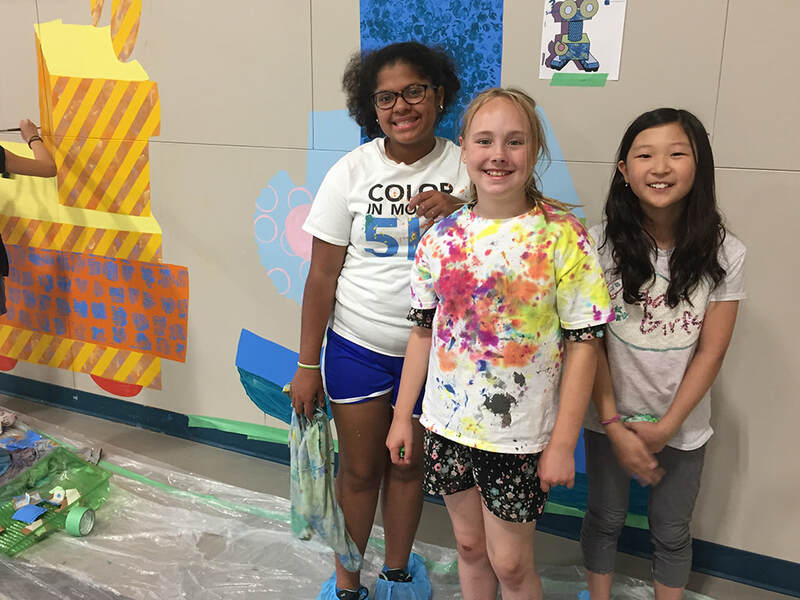 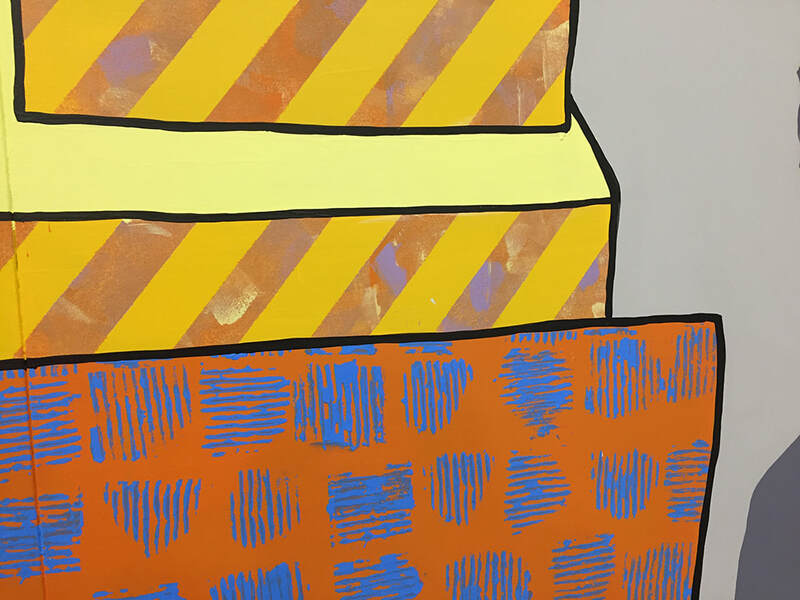 The final design was painted with Ms. Leilani Langer's Grade 5 class during the spring of 2018. 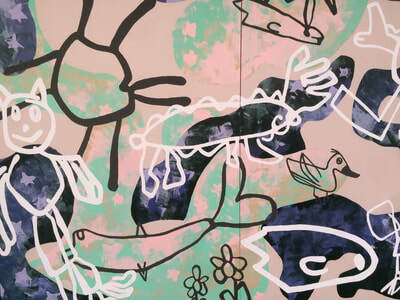 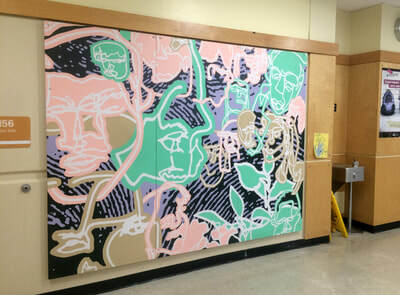 ​This mural was designed in collaboration with students from Richmond Heights Secondary School. 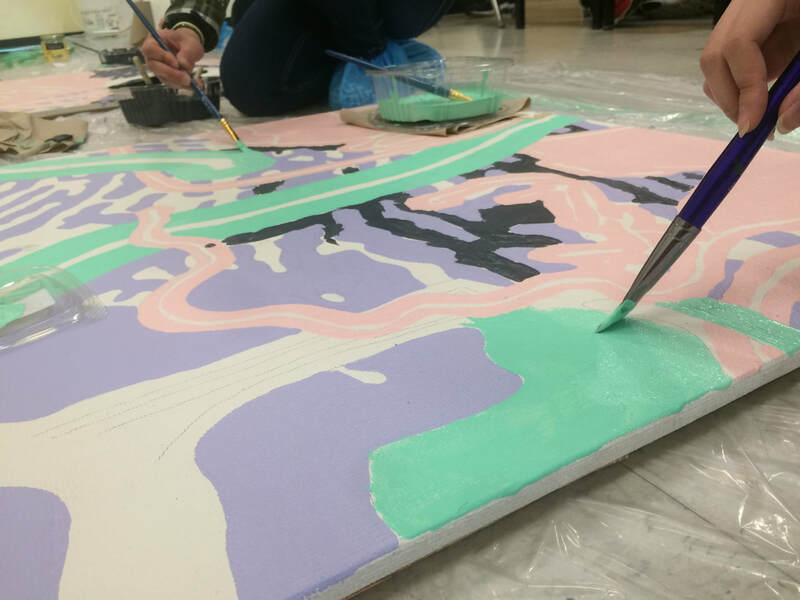 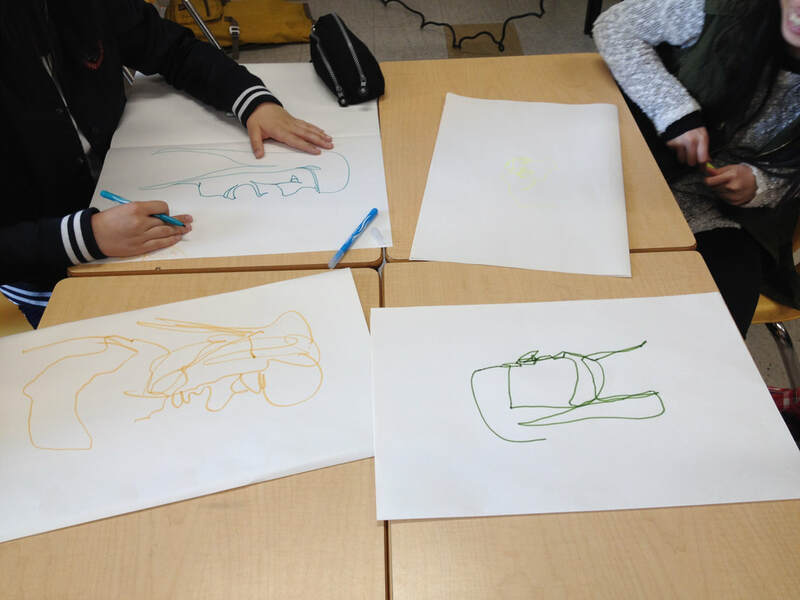 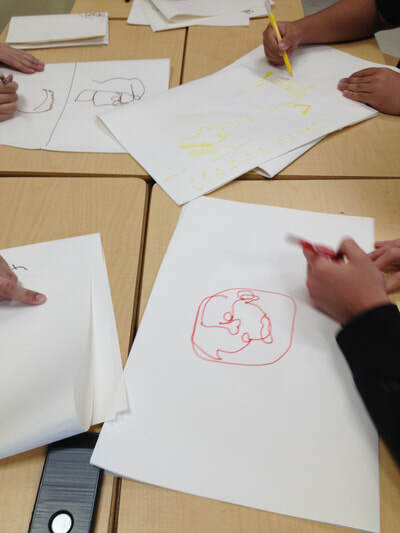 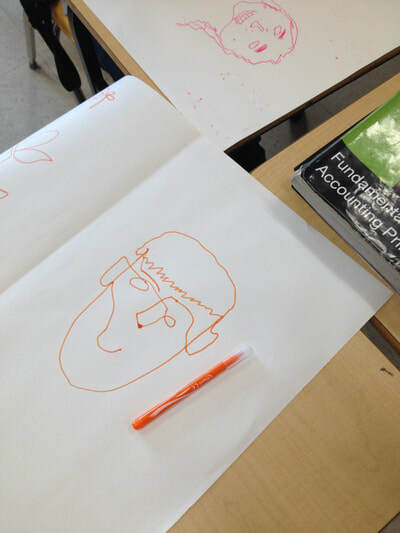 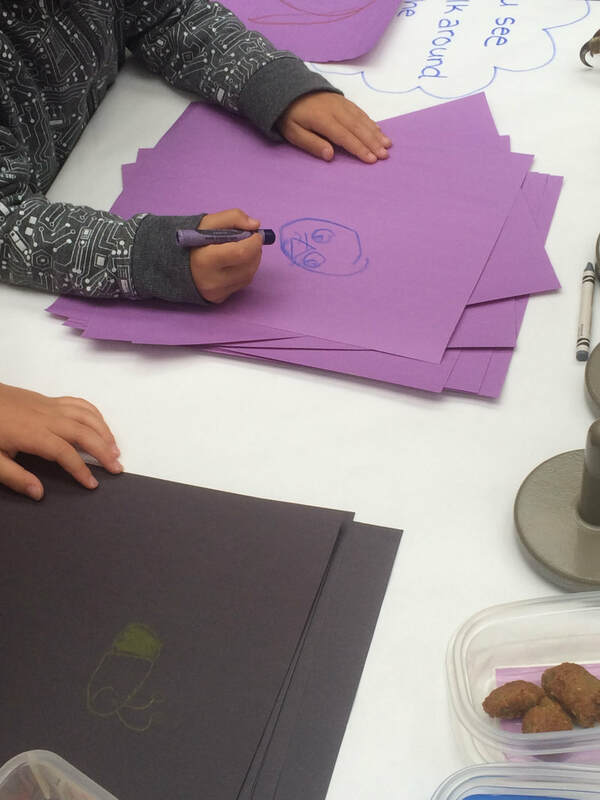 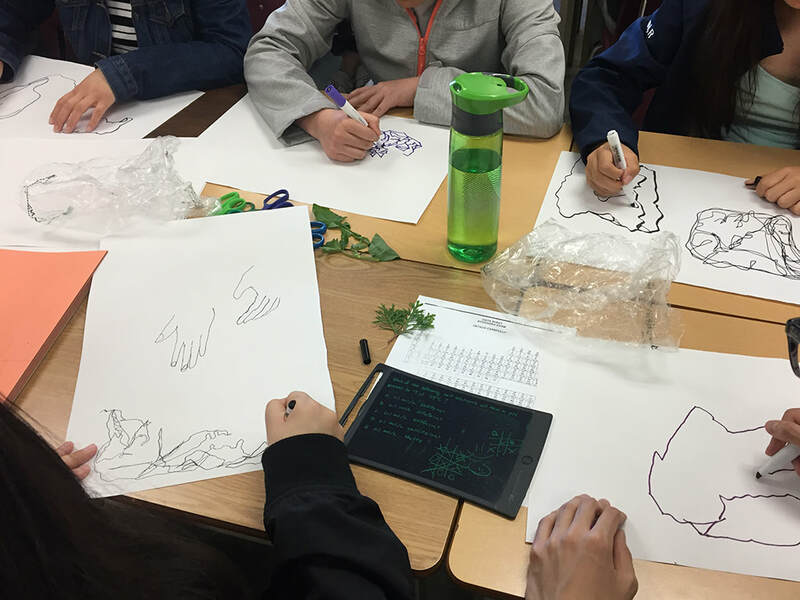 Students’ contour drawings of plastic bags suggest new topographies layered atop a shoreline map of the Lower Mainland. 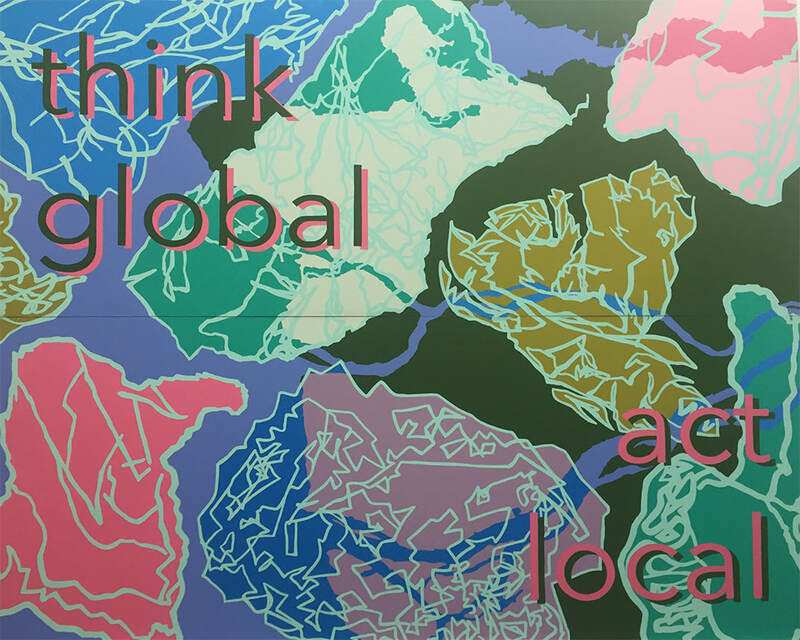 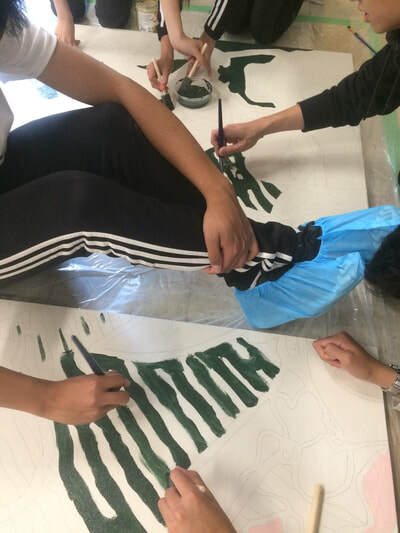 Meant to inspire action while illuminating the consequences of denial, the text and imagery reflect the students’ sense of urgency and importance for local action to be made today to collectively create an environmentally sustainable tomorrow. 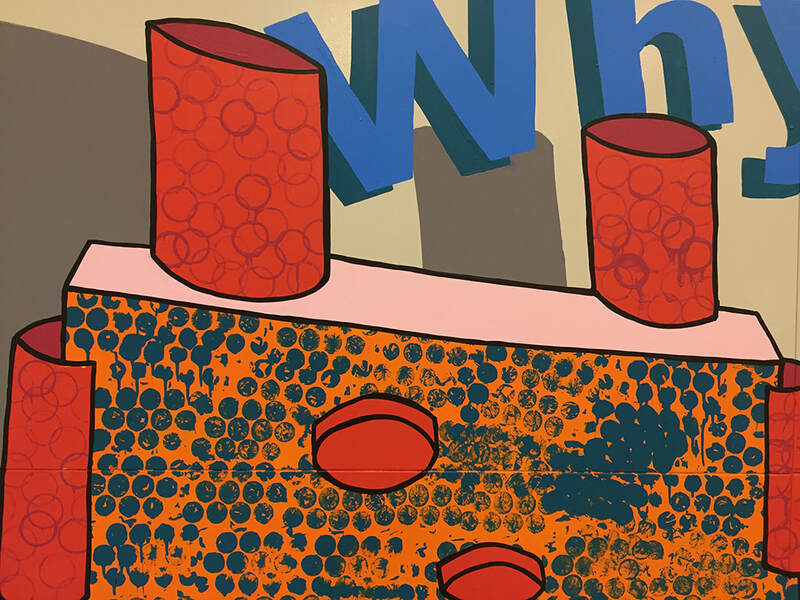 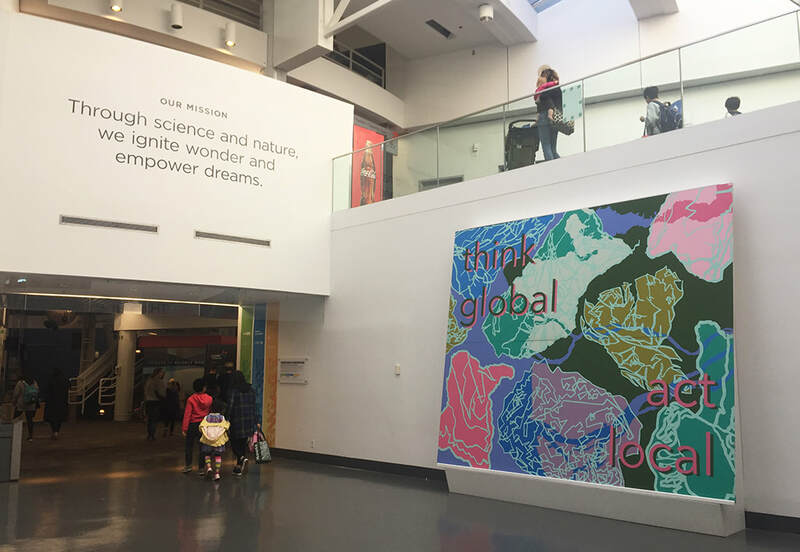 Telus World of Science, Vancouver, BC, 8' x 10', 2 panels, 2018. 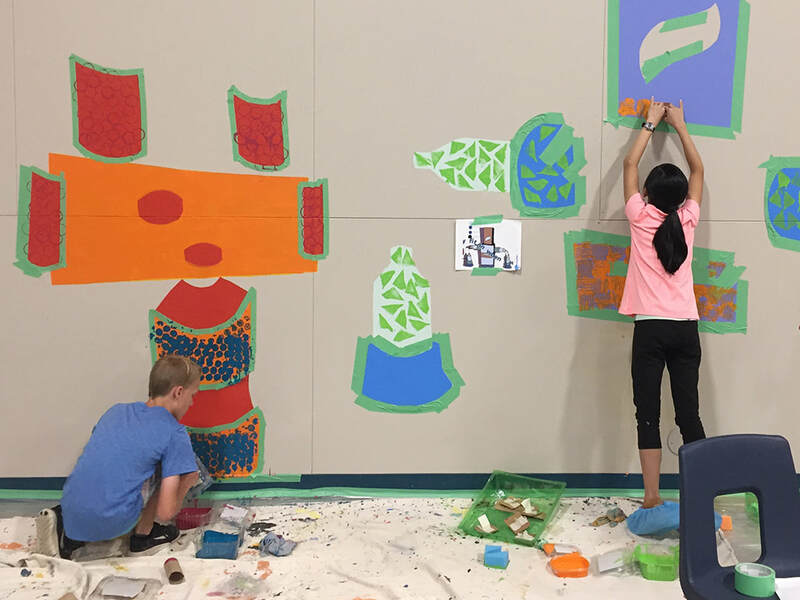 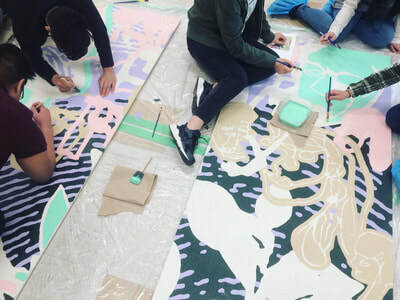 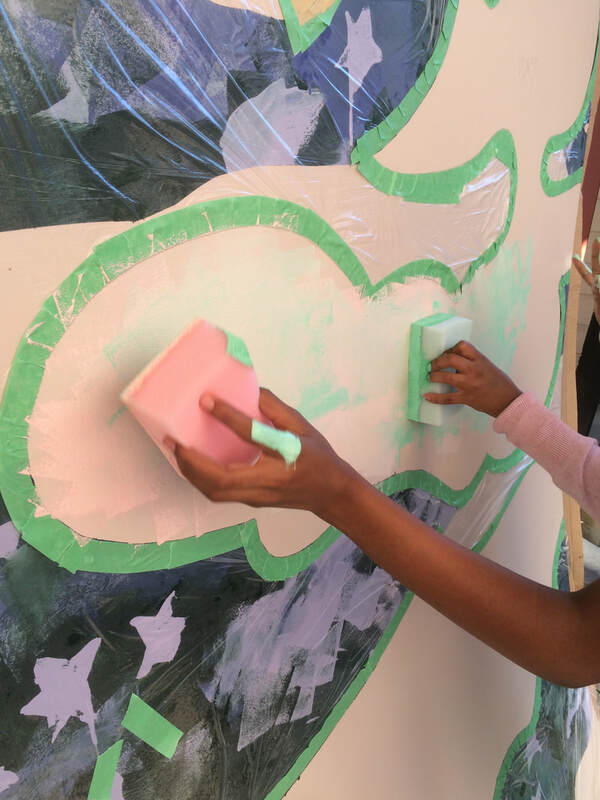 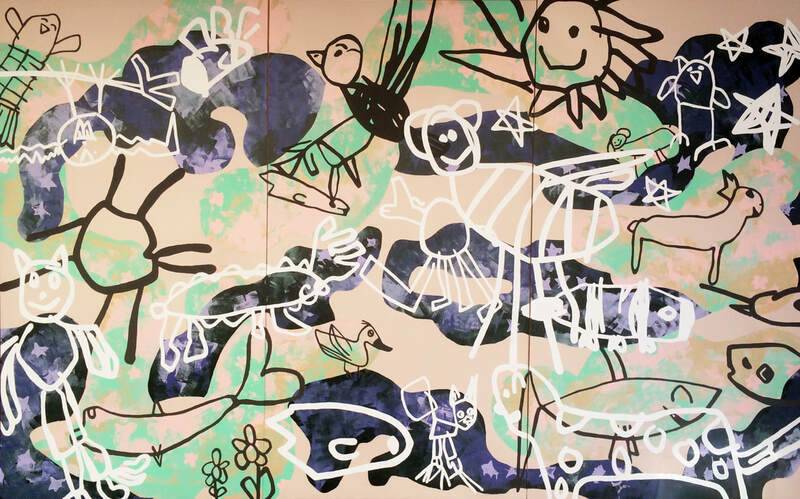 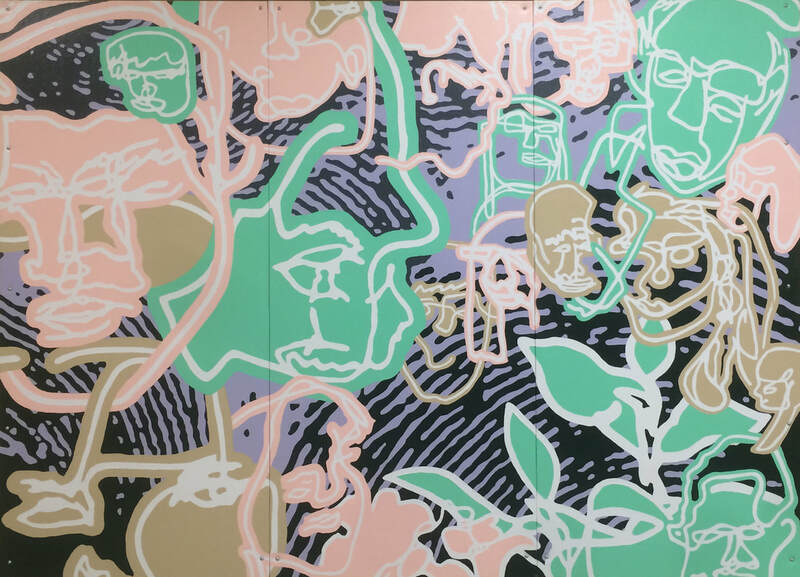 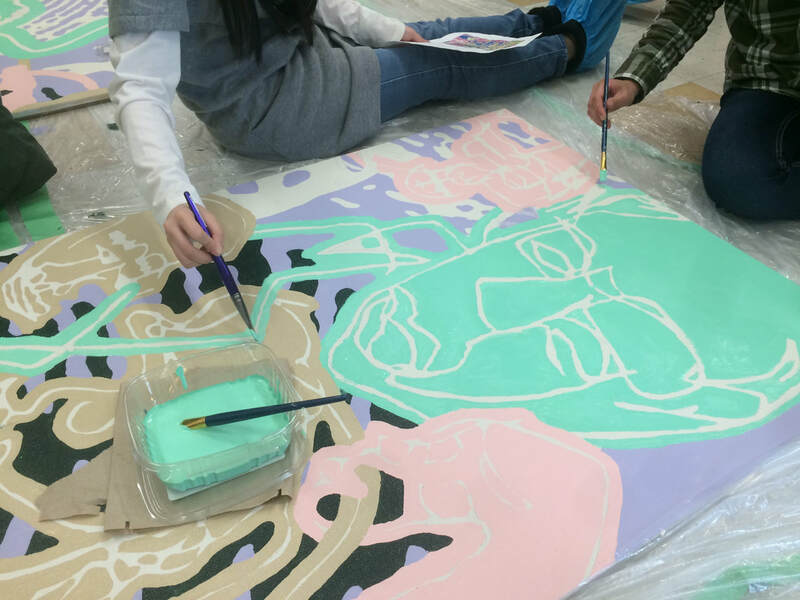 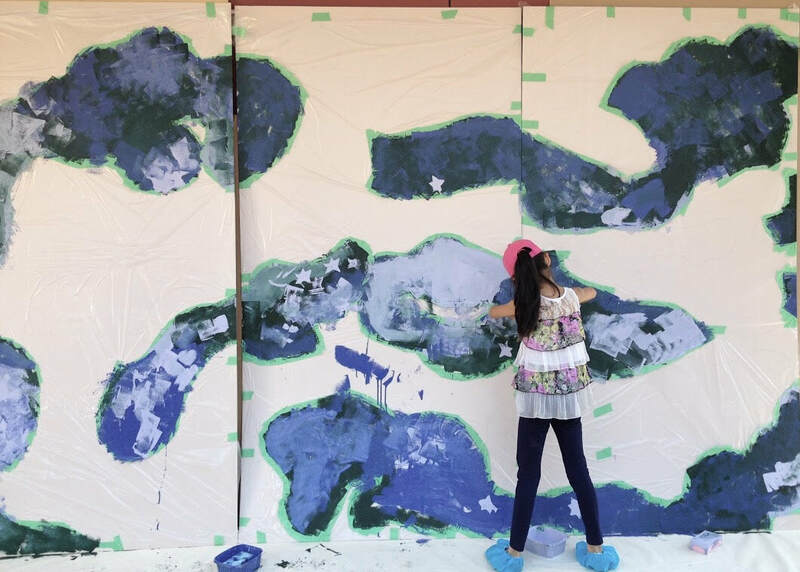 Inspired by their winning project Green Thumbs, this mural was designed using the students' thumbprints and blind contour drawings of each other. The final design was painted with the Business Department during the spring of 2017. 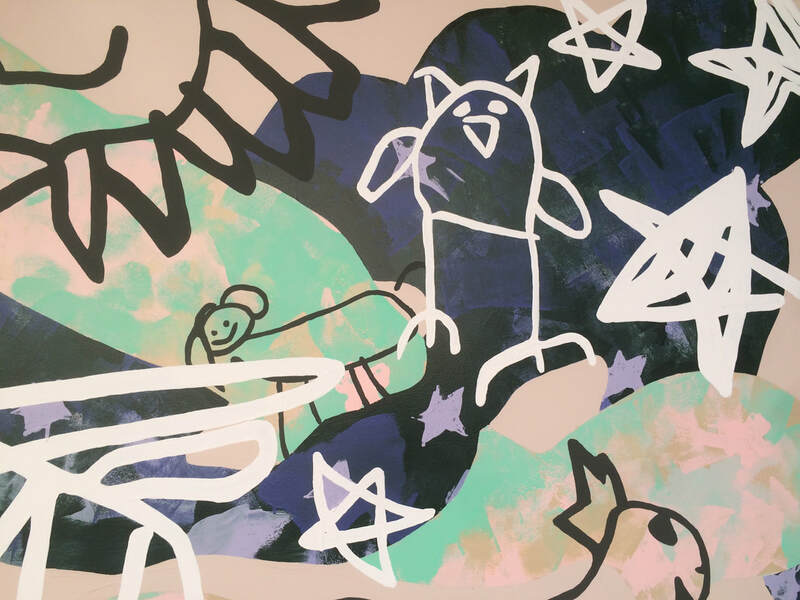 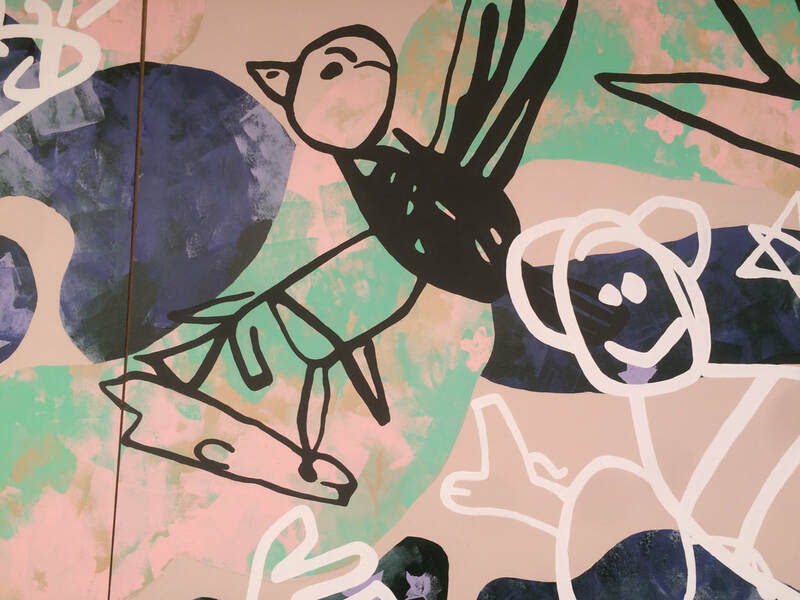 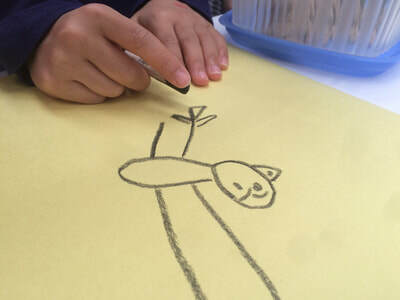 Inspired by a project that promoted conserving energy by turning unnecessary lights off, this mural was designed using kids' drawings of their favourite daytime and night time creatures. 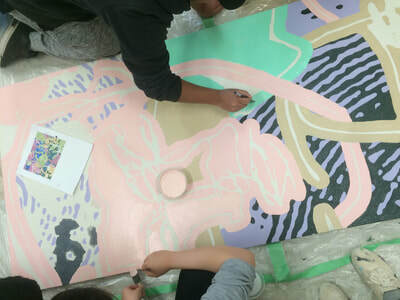 The final design was painted in collaboration with kids at Science World during the summer of 2017. 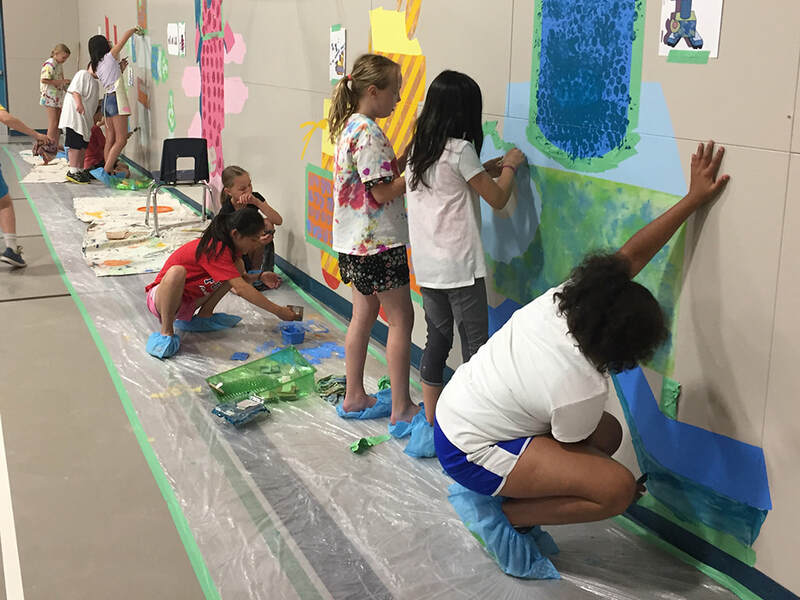 Thanks to artist Ashley Guindon for her mentorship throughout these 2017 murals!